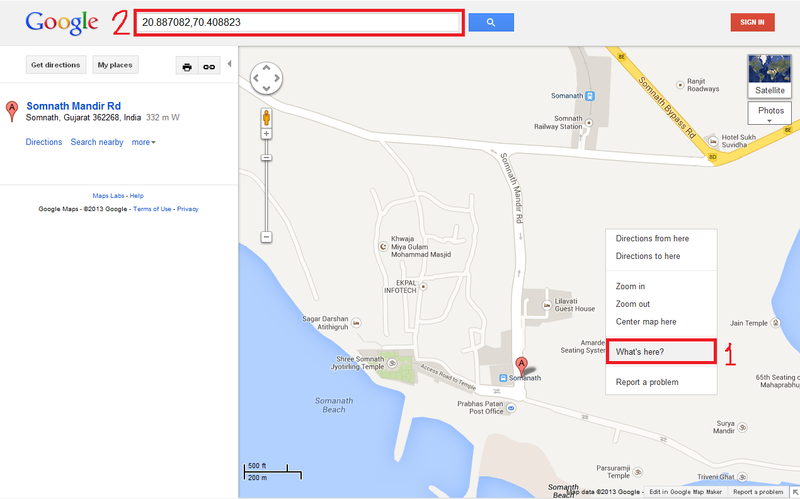 Learning lessons for Sitecore, C#, .NET, SQL Server: How to get latitude and longitude of any place in Google maps? How to get latitude and longitude of any place in Google maps? 1. Right click on any desire location on map and click on "What's here?" Please leave your comments or share this tip if it’s useful for you.